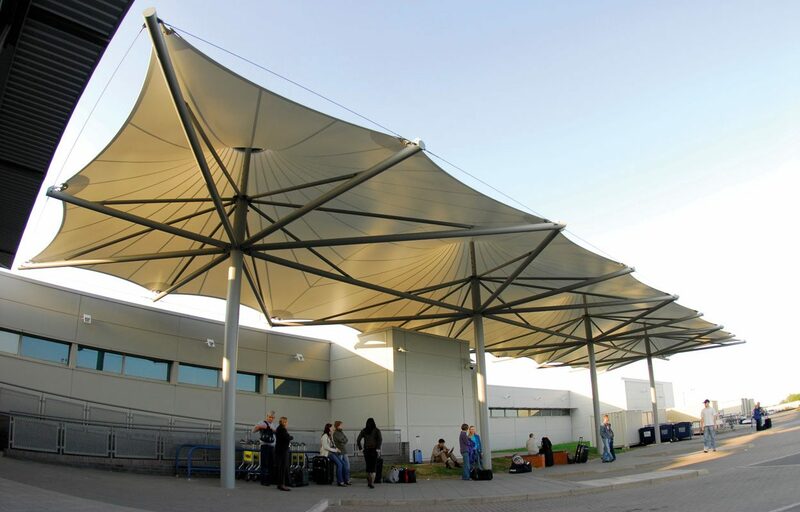 Tensile fabric canopy creates aesthetic statement and shelter for airport. 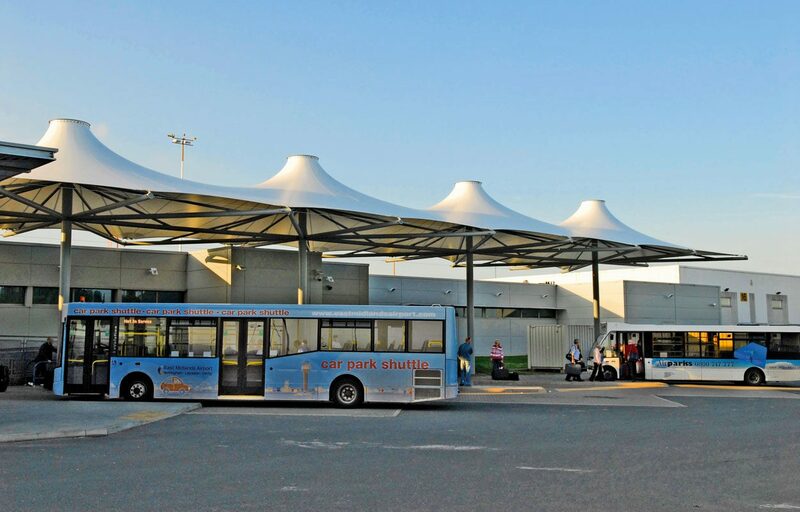 This bespoke quadruple conic tensile fabric canopy provides shelter for the new bus interchange area at East Midlands Airport. Despite it’s vast size, the structure was completed in just four days. 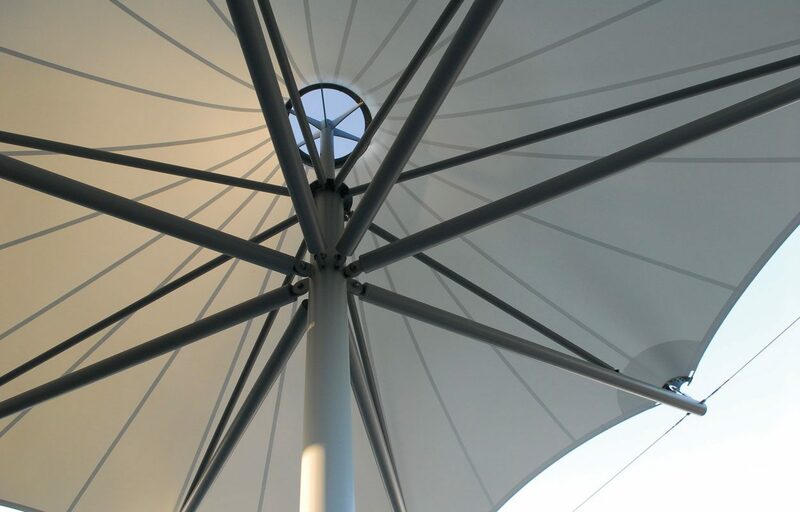 The precontraint fabric solution capitalises on the excellent PVDF weathering and without changing the making up process allows a better aesthetic performance of the membrane under any shape and from any angle. 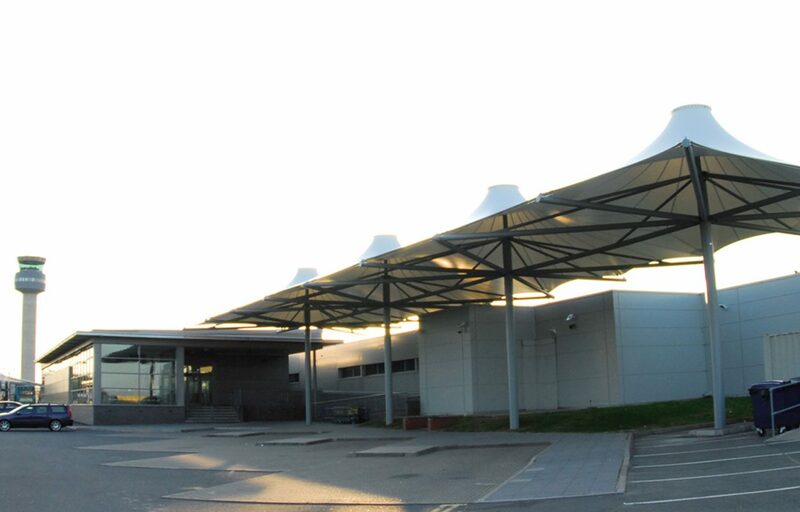 Fordingbridge provided a full design and build service from beginning to end to help the airport achieve their vision. We provide a free, no obligation site visit so you can discuss your concepts and ideas. Roof: Fire retardant PVC coated 1002 fabric (1050g/m²) Light transmission: 8%, UV protection 100% with a 10 year guarantee. This fabric is suitable for large high quality tensile fabric structures. The fabric is top coated to extend its life and enhance its self cleaning properties.